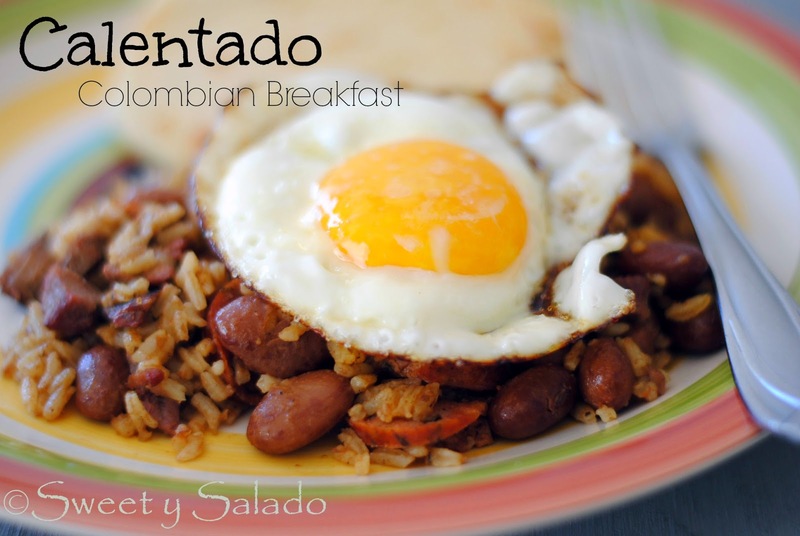 Calentado, or calentao, which is what many of us like to call it, is a very popular Colombian breakfast. It used to be the traditional breakfast that our paisa ancestors (from the coffee region) used to eat to use all the leftover food from the day before. During that time most part of the Colombian population used to live in extreme poverty and throwing away even a grain of rice or a single bean was pretty much a sin. The solution? Reheat everything the next day for breakfast so nothing would go to waste. The recipe is not really a recipe because you simply reheat everything in one pan. However, the ingredients that are usually used are Colombian beans, white rice, plantain, and steak which is what most people in the Antioquia region love to eat. 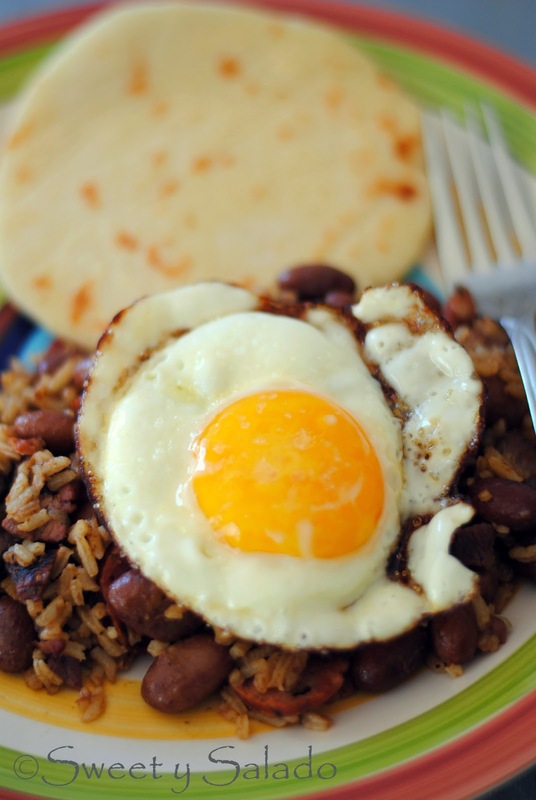 Then, you serve it with eggs, arepas, and coffee or hot chocolate. You can use whatever ingredients you have on hand, but don’t complicate yourselves by making everything from scratch because that’s not really the point of this dish. You just have to use whatever you have available and that’s it. Today, a calentado is mainly served on the weekends because the amount of food can be overwhelming; besides, now that we live in an era where we can refrigerate our food, it’s not really so important that we eat any lefovers the very next day. 1. Heat the oil in a large pan on medium heat and add the beans, rice, steak and chorizo. Stir well until all ingredients are reheated. You can also add hogao to taste. 2. Serve immediately with arepas, eggs, hot chocolate or coffee. i love your site! i think you've done an excellent work showing what colombia is all about through your food. i'm living abroad and i wanted to show some of my friends what colombian food looks like but the pictures i found on google seemed really messy, it's not easy to accomplish a good7clean food shot specially when you have something as messy as a bandeja paisa. great job!